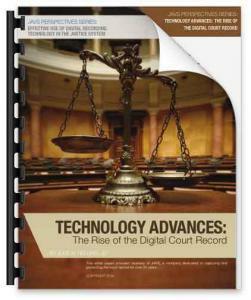 This white paper describes the state of digital recording technology now available to capture and preserve official court records through audio and video records. A/V recording works well for the complex proceedings that exist in courts at all levels—from remote arraignments to jury selection to full-blown trials and oral arguments at the appellate level. Kentucky was the home of an innovative collaboration between private industry and the judiciary, pioneering the use of A/V recording in the courtroom in the 1980s. Since 1999, the Kentucky Court of Justice has not used court reporters, instead using the A/V record as the official court record rather than a written transcript. The Utah courts are another example, no longer employing court reporters and instead using A/V recording since 2009. 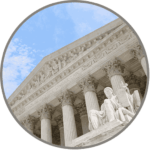 In 2016, technology has fully reached the promise of using electronic recording in the courtroom, bringing accurate court records and cost savings to parties, attorneys, and the public. Many court systems are working with business processes based on assumptions developed years ago about technology, people, geography, and structure. --National Center for State Courts, A Case Study: Reengineering Utah’s Courts Through the Lens of the Principles for Judicial Administration, Final Report by Lee Suskin and Daniel J. Hall, (2012).